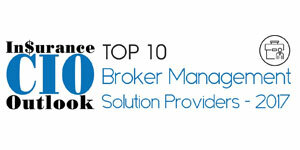 Home » Broker Management » Cover » Ebix, Inc.
Robin Raina, President & CEO Ebix, Inc., [NASDAQ:EBIX] is a go-to provider of end-to-end solutions ranging from infrastructure exchanges, carrier systems, agency systems and risk compliance solutions to custom software development for all entities involved in the insurance industry. Having been founded in 1976, the company has a long history of designing innovative insurance solutions. Ebix is committed in its endeavor to answer the ever-increasing needs of insurance organizations all over the world. One can say, Ebix has a wealth of knowledge and experience in creating custom solutions for the challenges facing today’s agents, brokers, and insurance companies. The company is being spearheaded by the renowned philanthropist and business visionary Robin Raina. Under his leadership, Ebix has delivered one of the highest returns on shareholder investment in the U.S. stock market history. Ebix conducts its operations through four channels, which include Exchanges, Carrier Systems, Broker Systems, and Risk Compliance Solutions (RCS). Also, the company operates data exchanges in the areas of life insurance, annuities, employee health benefits, risk management, workers compensation, and property and casualty (P&C) insurance. By offering the right agency software and services, Ebix makes an insurance agency’s job easier while making their agents better producers. EbixExchange is the premier On-Demand Software Exchange that offers products and services that automate, expedite, and improve the process for the life insurance, annuity, property & casualty, and health insurance industries. Seen as a leading developer of electronic Straight through Processing, EbixExchange currently supports a broad range of insurance agencies, brokerage, and clearing firms, and operations centers at over 100 of the leading insurance carriers and their affiliates. As part of their solution suite for the P&C market, Ebix provides key software components and services for managing the entire lifecycle of a policy. The enterprise-wide products span a range of key functions including front-office management, policy production and customer correspondence, real-time data exchanges and business intelligence. Ebix’s management system provides a comprehensive set of insurance-specific, automation solutions, a claims module and a detailed general ledger accounting system. Also, the application has a far-reaching collection and payment system built in. Ebix has a strong hold on life insurance arena as well and has pioneered in offering a full line of sales products and services to improve productivity and lower costs. They offer SmartOffice a web-based financial services solution for CRM, practice and agency management. Proven by more than a 125,000 advisors, SmartOffice helps financial services professionals to deliver high-touch service—without additional staff, to generate referrals and ensure client retention, and to systematize proactive, personal communication with clients. As the insurance market shifts further and further away from paper documentation toward methods that utilize electronic data exclusively, it is vital to have a cutting-edge system that is designed with both of these methods in place. Also available to the brokers across the globe is an e-commerce enabled a client-centric application that handles both structured data processing requirements, such as policy processing, as well as important unstructured client related data including correspondence, images, and files. Ebix also offers brokers unique solutions to compare product rates and features from multiple companies’ side-by-side and then generate reports as data accuracy has become one of the most critical components of any quoting tool. Their software provides a quick, easy way to assess and present the financial strength of life insurance carriers which is ideal for a captive field force as well as the independent brokerage community. EbixExchange’s Illustration software— WinFlex is distributed to brokers by the carriers. WinFlex allows the brokers to enter a case once and illustrate for multiple carriers. Brokers can also create many advanced sales concepts and then compare permanent products side-by-side. The EbixExchange platform is the only commercial provider to successfully deploy a proven, scalable online platform for automated annuity order-entry. Just 10 years ago, the automation of annuity sales was considered impractical by the financial services industry. Today, Ebix Exchange has not only changed reality by delivering a high-volume, broadly-deployed solution but also helped define the means by which future annuity and life e-commerce will be conducted. Introduced in 1998, AnnuityNET is part of EbixExchange’s first-to-market, an order-entry platform for annuity transactions. Insurers post their annuity products, associated product rules and forms on the platform where they are incorporated into a web-based application process and a suitability questionnaire. Currently, AnnuityNet features over 1,600 annuity products from nearly 40 insurance carriers. AnnuityNet supports fixed and variable annuities, immediate, and equity-indexed annuities. Ebix’s customer base includes hundreds of carriers, a few hundred corporate clients and hundreds of thousands of brokers. Ebix customers include many of the world’s largest and most respected insurance companies as well as a large community of insurance professionals. Targeting a nearly sixty billion-dollar market segment in U.S. alone, Ebix has ample growth opportunities simply by leveraging its existing customer base and outstanding reputation for high-quality services. With more than 40 offices across Brazil, Singapore, Australia, the U.S., UK, New Zealand, India and Canada, Ebix powers multiple exchanges across the world in the field of life, annuity, health and property & casualty insurance while conducting in excess of $100 Bn in insurance premiums on its platforms. Through its various SaaS-based software platforms, Ebix employs hundreds of insurance and technology professionals to provide products, support, and consultancy to thousands of customers across six continents. Ebix’s aims to continue being one of the world’s leading back-end powerhouse of insurance transactions by designing pioneering products and services that are at least a few years ahead of the competition. Its vision is to support the convergence of all insurance channels, processes and entities such that data can be entered just once and then seamlessly flow throughout the insurance ecosystem—saving time, saving money and driving improved financial performance for its customers.